If you thought talking about smoking pot with your parents was awkward, try listening to 10 presidential hopefuls all vying to one-up each other by talking about their teen and 20-something drug usage on national television. Lest you worry 'twas not awkward enough, rejoice, dear friends: It gets somehow more awkward. Instead of just each talking about their respective flirting with Mary Jane, the 10 men and women standing on stage at the Reagan Library in California making up the GOP appetizer sampler all tried to ~do weed~ better than the candidate who came before them. Rand Paul, such as Rand Pauls are wont to do, kicked the whole topic off by suggesting we "see how many candidates smoked pot in high school," which was met with giggles from the crowd. Finally!, the mused, something interesting! Rand was, naturally, talking about Good Ole' Jeb's past weed use — and it's not the first time Rand has called Jeb out for his stand on smoking a doobie. 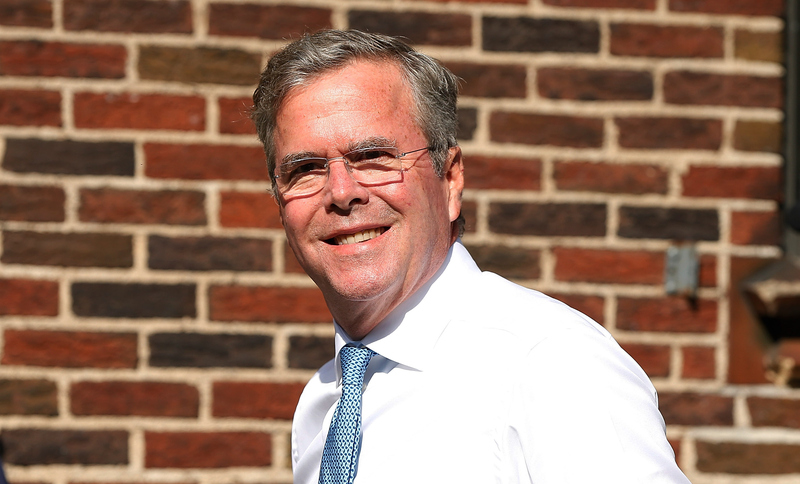 To make it easier on Rand, and the country at large, Jeb took the bait head on. Admitting that 40 years ago, he smoked marijuana, Jeb came clean without flinching, even assuming that most of the other men and women on stage had probably dabbled too, even if they weren't ready to share that with the world. Because Jeb is kind of adorable, he also added that his mom, Barbara Bush, probably isn't thrilled that he'd taken to the Presidential Debate to admit he liked to hit the J back in the halls of high school — and he even reduced Trump to a smile. Bush then used the light-hearted moment to segue into a larger policy plan: the trouble with drugs across the country, namely heroin, and his plans for an all-over reform.